The UK’s largest flooring contractor, Designer Contracts, has expanded its regional facilities in the North West, North East and Scotland. The North West has now increased its current warehouse and office space to include an adjacent unit. The North East has almost trebled in size; having out-grown its previous location the move to much larger premises will accommodate its growing business. Scotland has taken an additional unit at its current location. The expanded regions now have additional high rise carpet racking, giving a considerable increase in the amount of storage space. This allows them to hold carpet and other flooring for up to 120 plots of carpet at a time as well as storing pallet goods in their existing warehouses. Last year the company trebled its national distribution centre with a move to larger premises, increasing its size from 44,000 to 109,000 square feet, with a significant increase in height, offering three times the amount of storage capacity. It also expanded its regional facilities in North London and Essex and the South West. 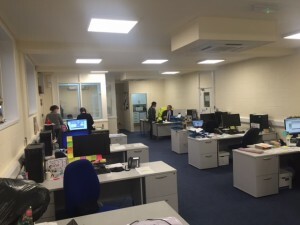 Based in a new development in Romford, the North London and Essex depot is the largest regional office and almost double the size of the previous premises, offering a significant increase in the amount of storage capacity. The team in the South West was relocated from its original base in Exeter to a new unit in Topsham, which has excellent links to the M5, and has enabled the team to treble its storage capacity. 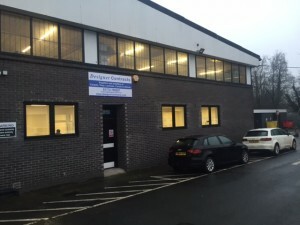 Designer Contracts has fully staffed offices and warehousing in 12 regions across the UK. As well as flooring, the company supplies curtain, blind, furniture and lighting packs and has a full show home interior design service.